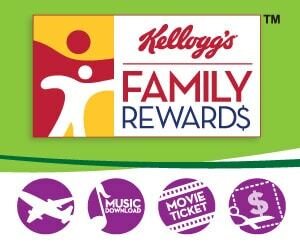 You are here: Home / Freebies / 100 FREE Points for Kellogg’s Family Rewards! 100 FREE Points for Kellogg’s Family Rewards! Not familiar with this program? You can earn points three different ways which you can redeem for FREE rewards like merchandise, sweepstakes entries, exclusive and high-value coupons and much more. I was able to add all the codes and received the points. Thank you. Thanks. Worked both for me. Thanks for always posting these!